Whilst I have always had the belief that 2004 was and will be always a superior vintage than 2006 in Tuscany, sometimes you can drink a wine that tells you that vintage generalisations aren’t always spot on. Let me make it clear that both these vintages for Chianti Classico and Brunello are in the top few vintages in the last couple of decades. When you have two great vintages so close to each other (like 1989 and 1990 in the Langhe) there are always going to be comparisons made. 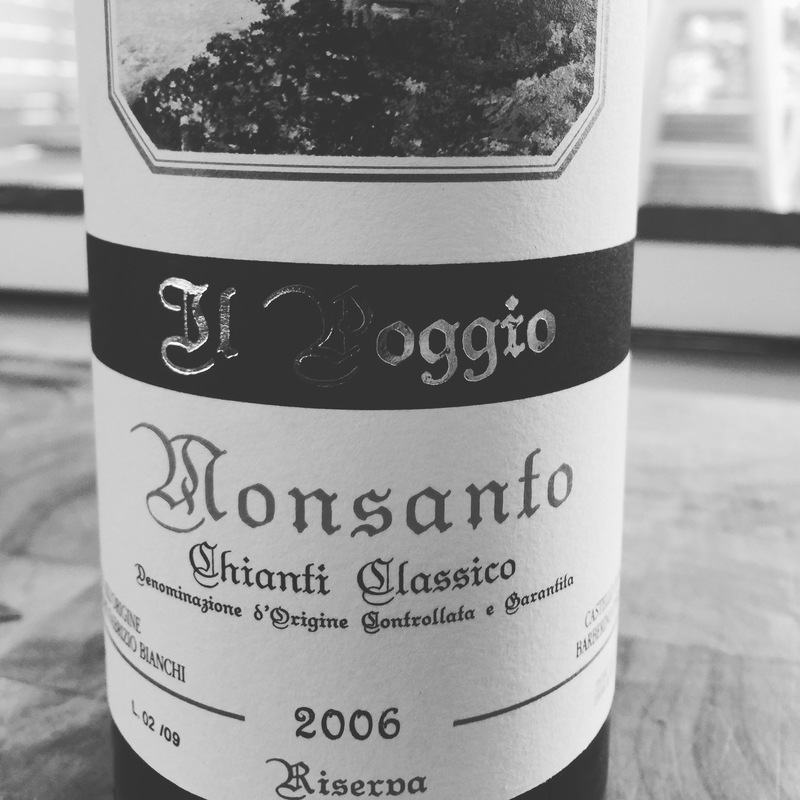 Last night, I was in a distinctively Chianti Classico mode and grabbed a bottle of the 2006 Castello Monsanto Il Poggio to drink. Monsanto was the first winery that we represented from Italy in Australia and today, the wines have never been better. It is also a wine that drink better and will age longer than the 2004 Il Poggio. Monsanto always make restrained and savoury styled wines. A year like 2006 which was warmer than the stellar (and classic Tuscan vintage) 2004, has given the wine more omph and power. It still has at least another twenty years before it starts it’s slow decline. This wine and the 2010 and 2012 vintage has again showed me why it is so critical to cellar the wines of Italy’s best producers. ps Don’t always follow or agree with vintage generalisations! Over the last few weeks I have drunk a lot of Brunello. Mainly from the 2006 and 2007 vintages. Whilst both vintages are markedly different, both have strong merits as a wine collector. Last night I had two bottles of Brunello from the same producer. One bottle was 2006 and the other was 2007. Whilst the 2006 was stunning and it’s high quality obvious: it was the 2007 which drew me back to it. It was lighter in colour, but so fragrant and perfumed with softer tannins and more open savoury cherry fruits. Every year the Consorzio del Vino Brunello di Montalcino classifies the new wine production in order to Communicate the information regarding the Montalcino harvest and its wines Brunello di Montalcino, Rosso di Montalcino, Moscadello di Montalcino and Sant’Antimo. The evaluation takes place in the months of January of every year, by having wine samples of the latest harvest undergo chemical/physical and organoleptic analyses. The Tasting Committee that carries out the tests is made up of 20 technicians operating in Montalcino, with extensive experience in the production of this area. – outstanding vintage (five stars)The declaration of the stars assigned to the vintage takes place in February each year, as part of the event “BENVENUTO BRUNELLO”. Starting with the 1992 vintage, the Consorzio del Vino Brunello di Montalcino commissions a commemorative tile to place on the wall of the Town Hall in Montalcino. 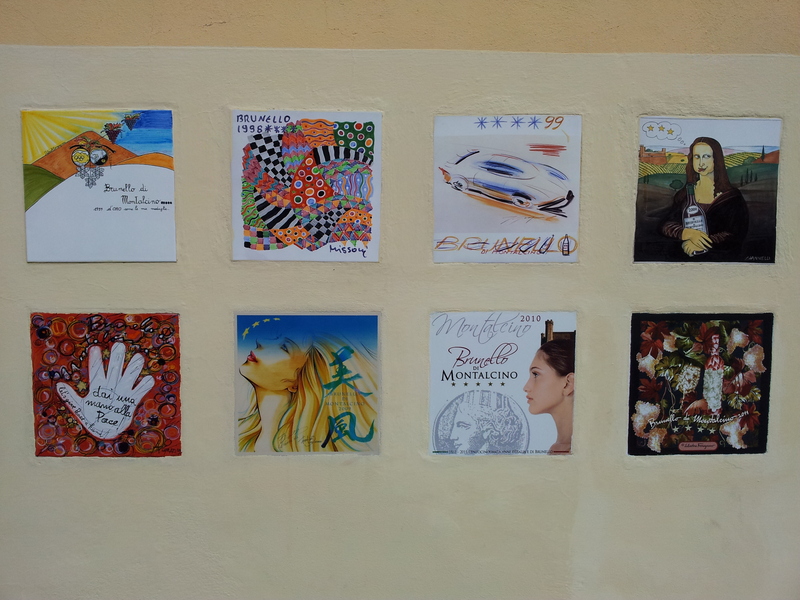 The tiles are created by people from the world of art, sport and show business, Italians and foreigners alike. The tiles are ceramic, measure 30×30 cm and include the reference year and the number of stars assigned. There has been many articles written about the value (or lack of) vintage ratings made by the Consorzio. However, what is obvious is that Montalcino has been able to string together some fantastic vintages with 2006 and 2007 of very good quality. Both these vintages have been rated five stars by the Consorzio and they could not be more different in style and structure. If I had to pick the vintage to put in my cellar for long term ageing, it would be 2006. 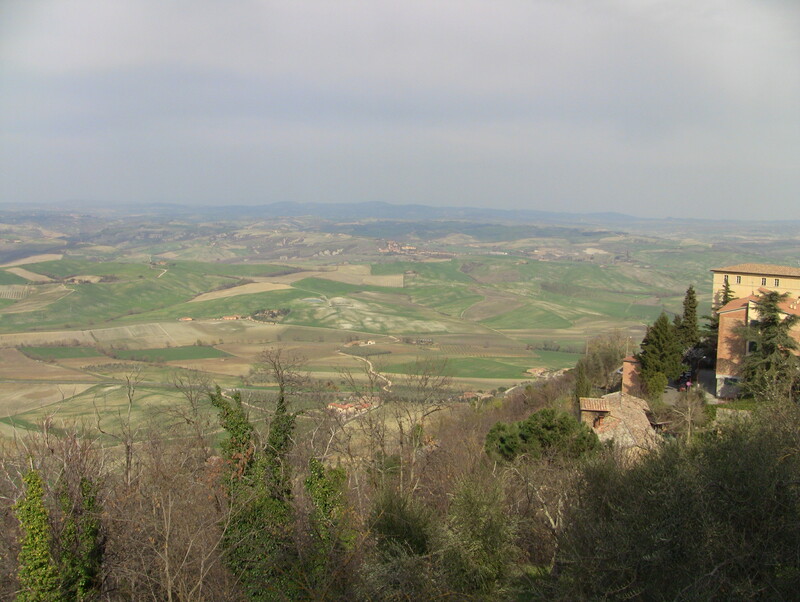 With so many different sub regions and producers, buyers still have to be wary about what 2006 Brunello they should buy. However in saying this, the chances of success will be a lot higher than 2007. 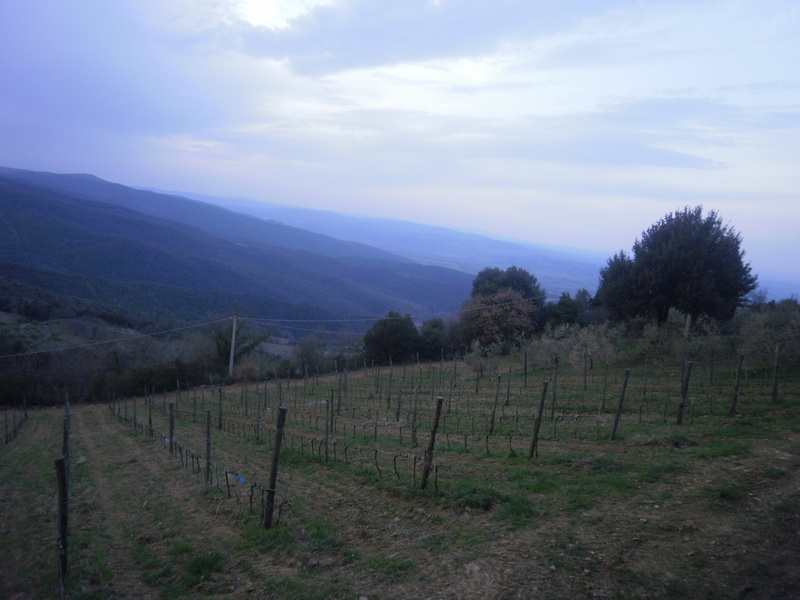 Vintage 2007 for Brunello di Montalcino has produced widely varied wines. This was evident on our Bimbemus dinner which focused on the 2007 vintage. However those who have got it right have made delicious, balanced reds that will be fantastic to drink whilst those 2006’s mature in the cellar. This is not to say the 2007 vintage wines will not age, they will age really well over the next decade. The 2006 vintage wines on the other hand will go past ten years and the best examples will still be kicking on at twenty years of age.